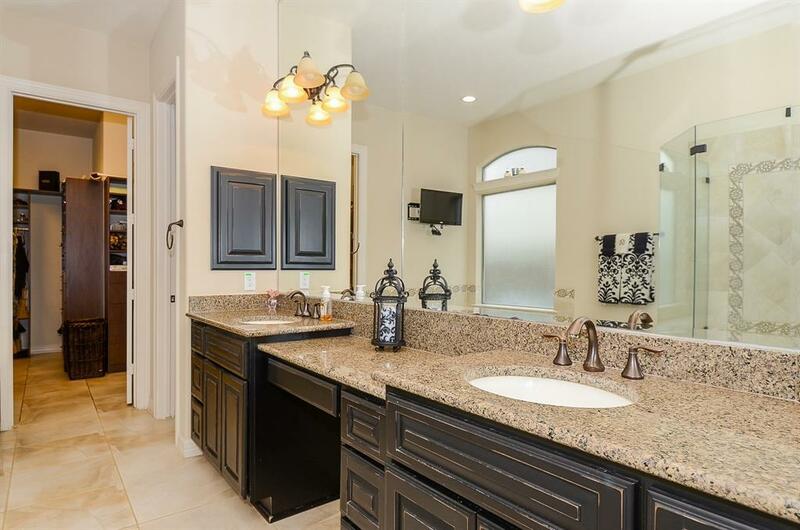 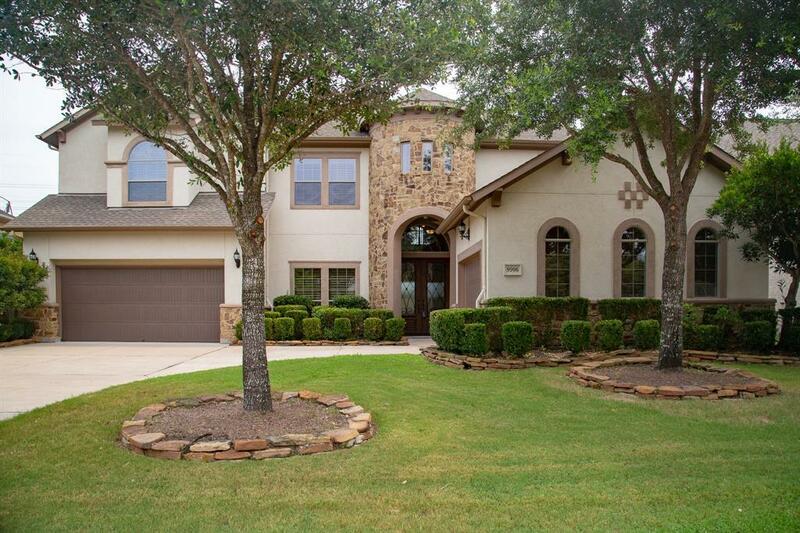 This beautiful Taylor Morrison home has it all! 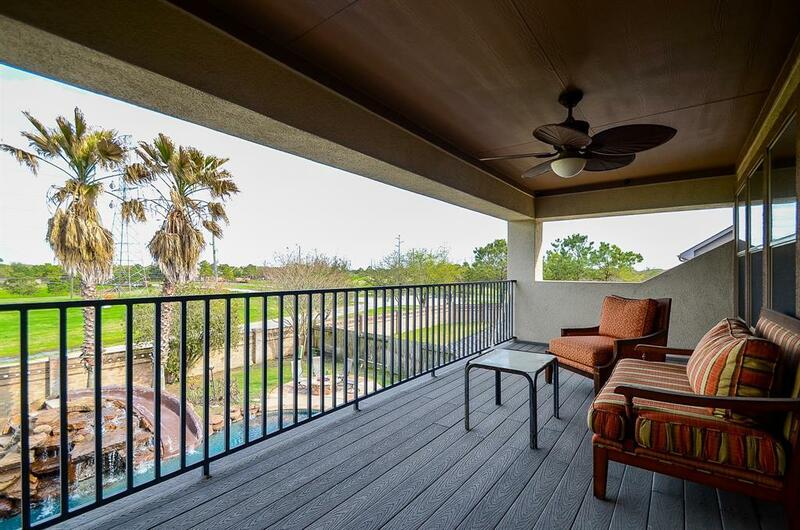 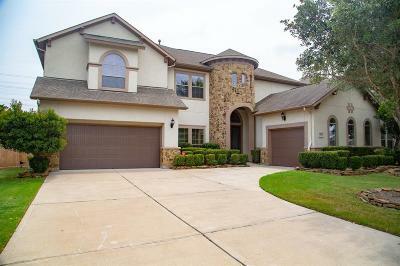 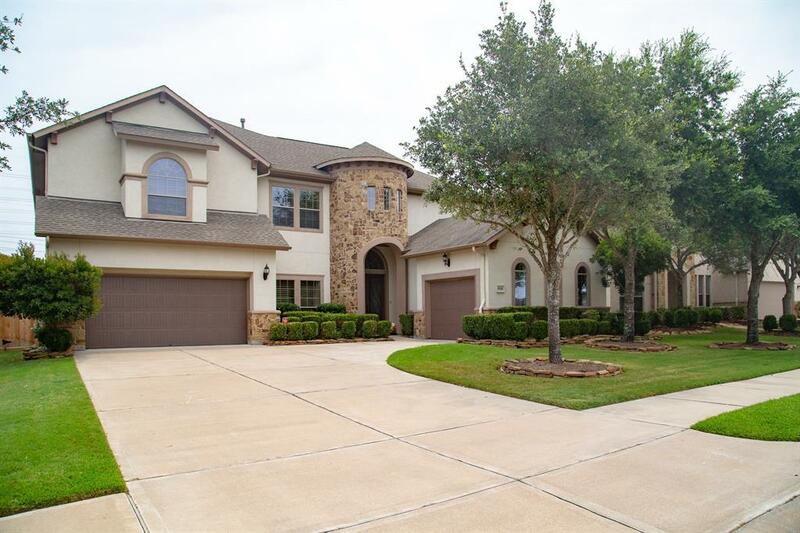 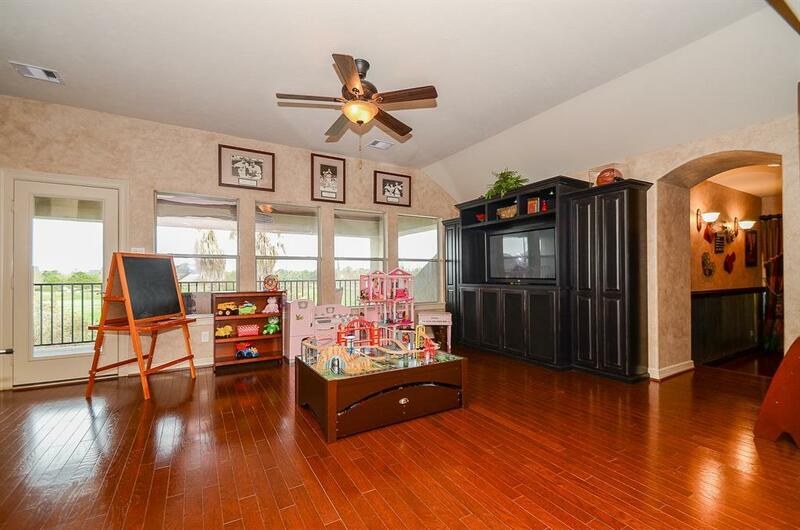 Wood floors throughout, open floor plan and other upgrades everywhere! 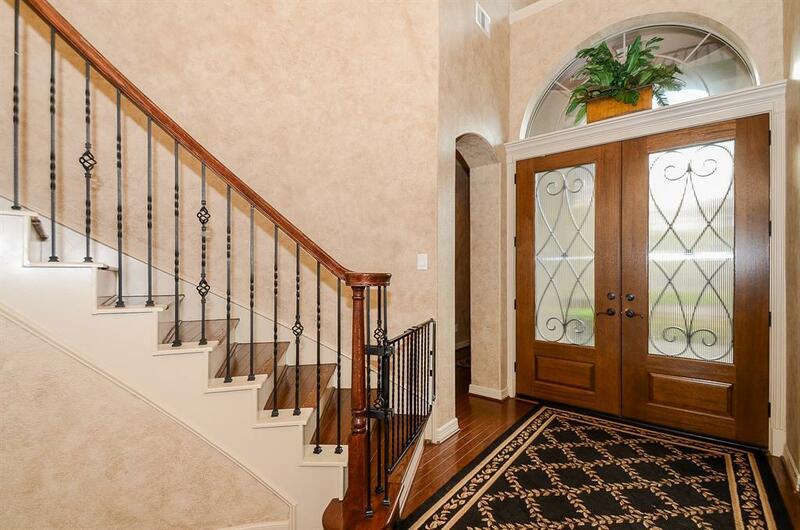 Enter into this inviting foyer with high ceilings! 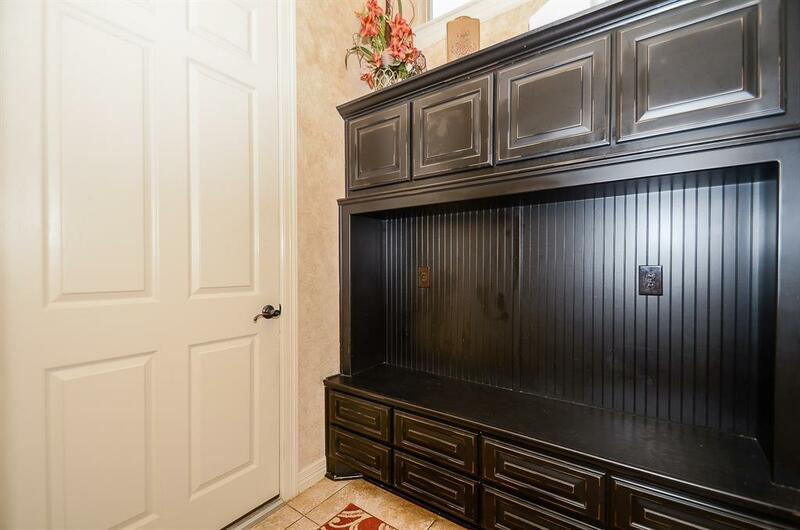 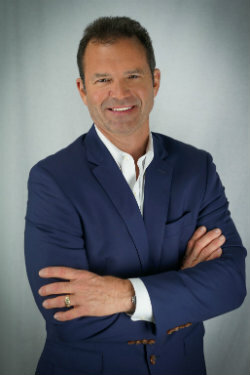 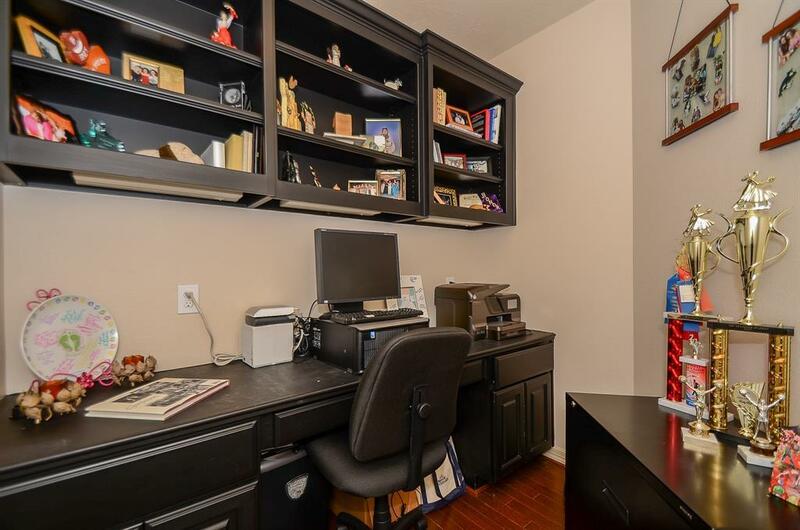 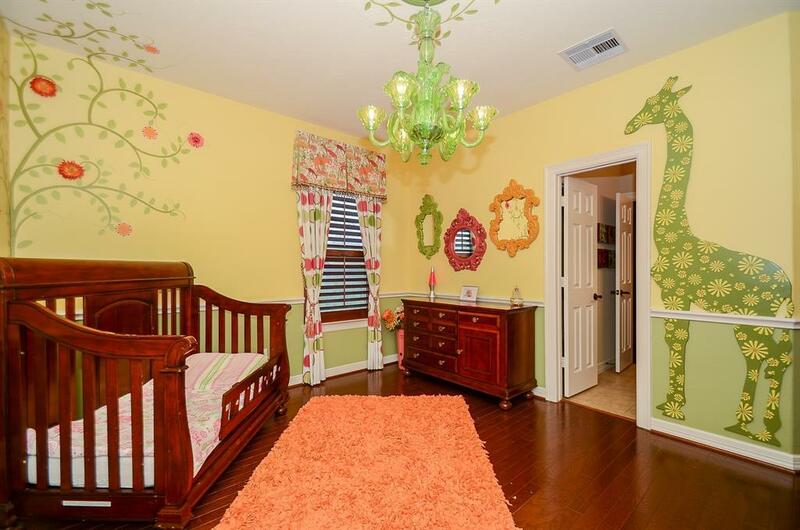 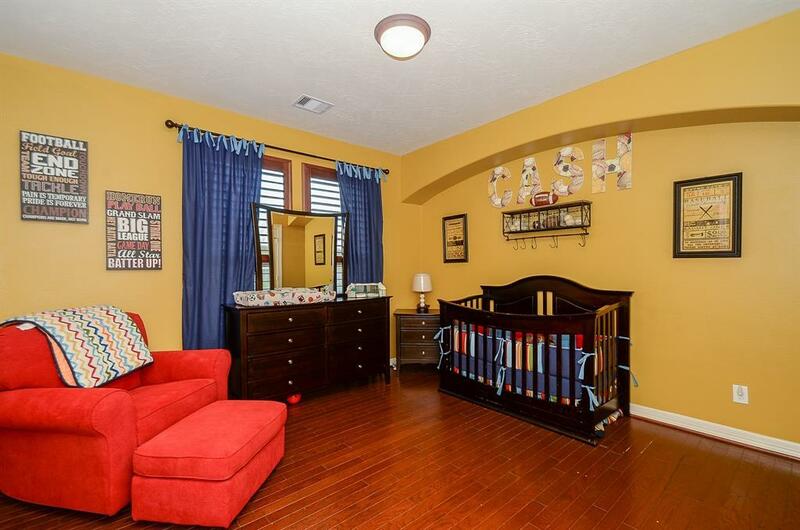 Immediately to your right you will find a spacious study kept private behind double French doors. 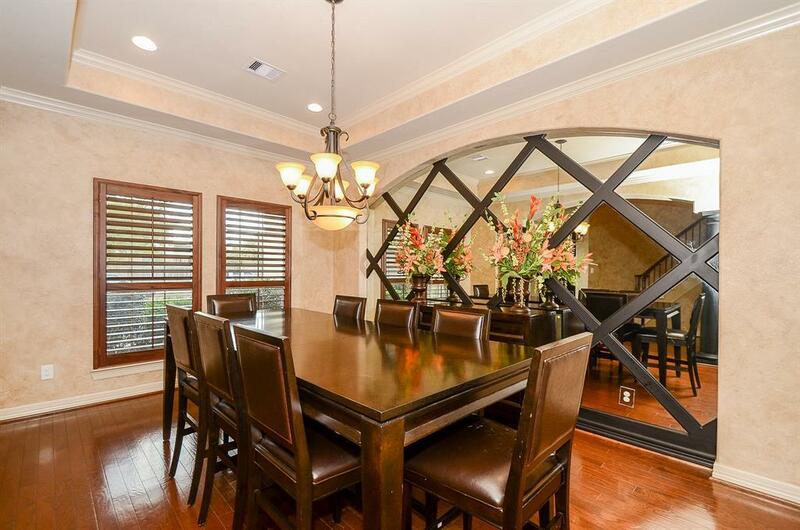 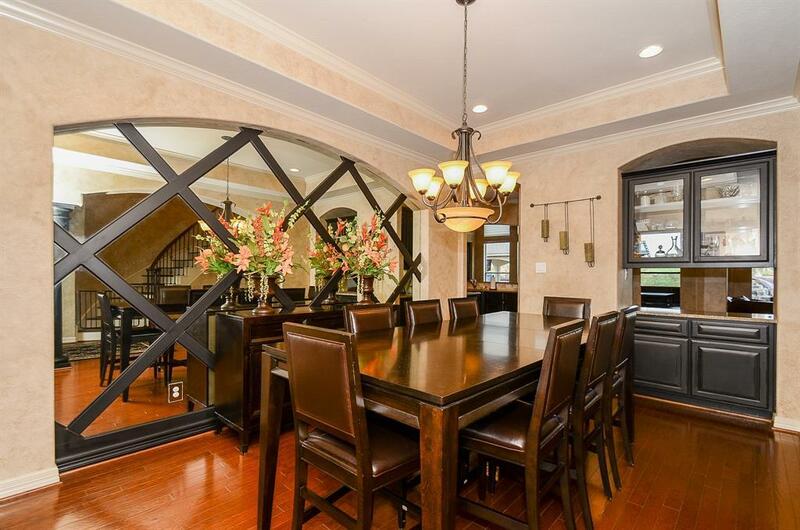 Continuing on you will pass the spacious formal dining to the formal living room that view the backyard oasis. 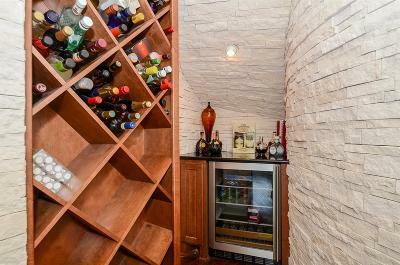 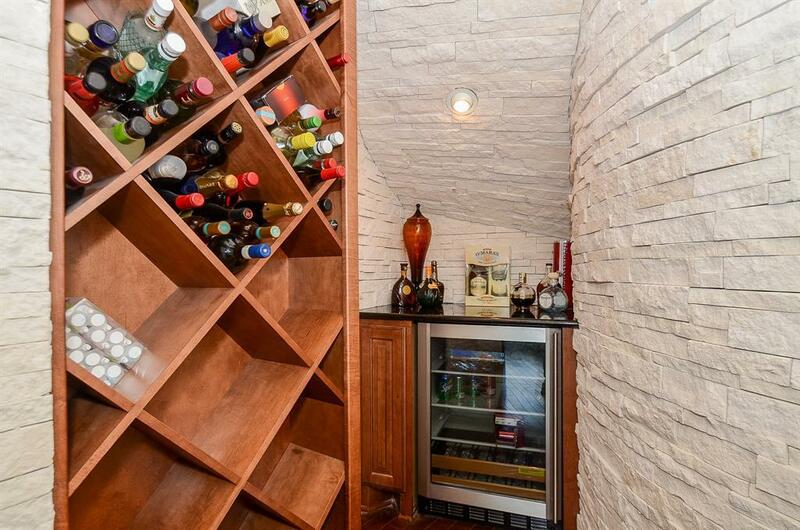 This home also has a built in wine grotto. 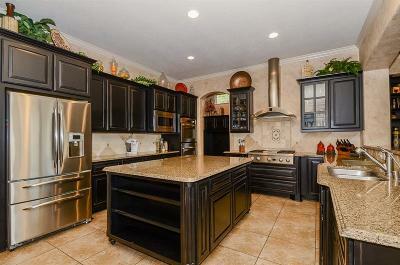 The kitchen is a chef's dream w/ the island kitchen, abundance in counter space & counter space! 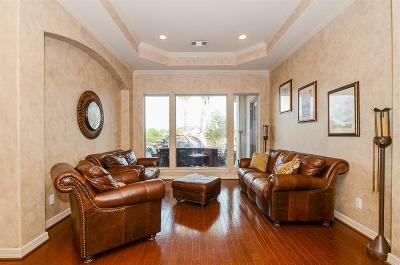 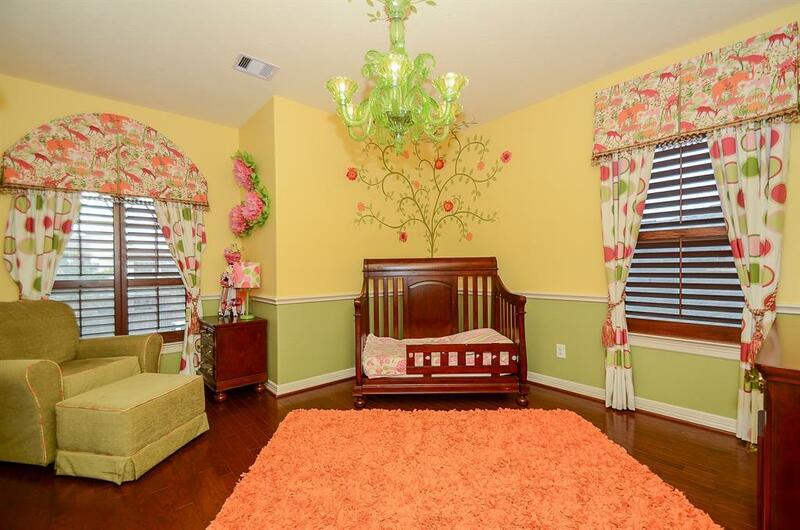 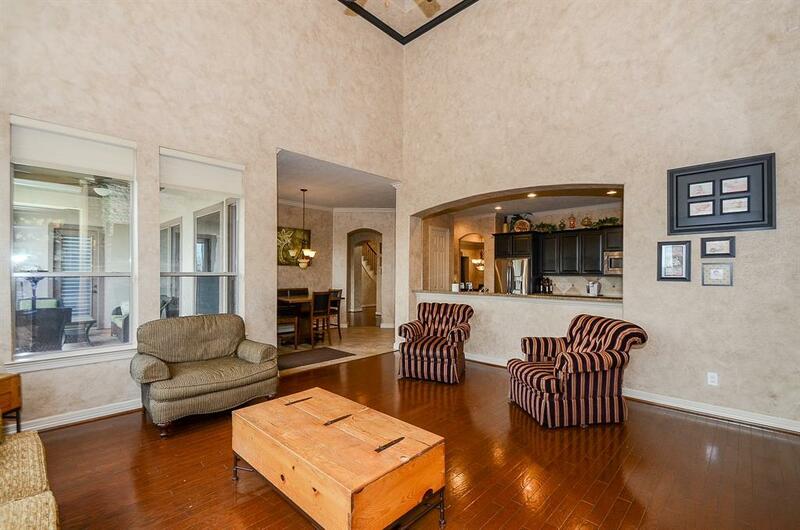 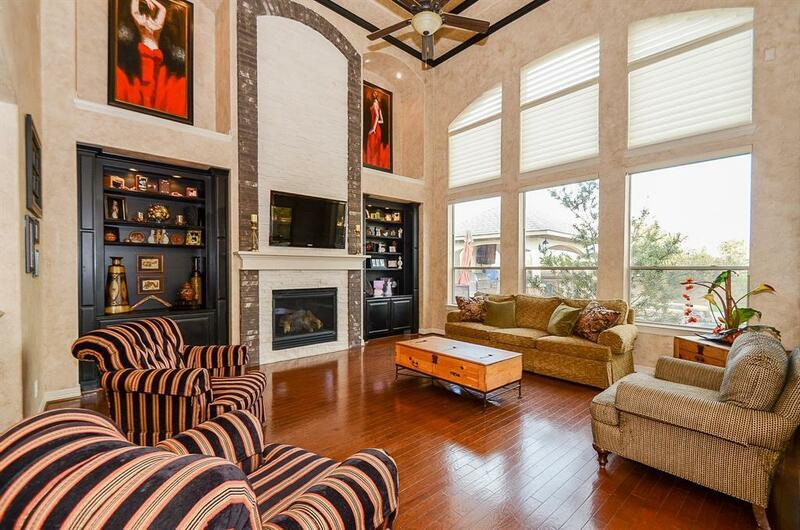 The ceilings in the living room are two story & have huge windows that allow natural sunlight in! 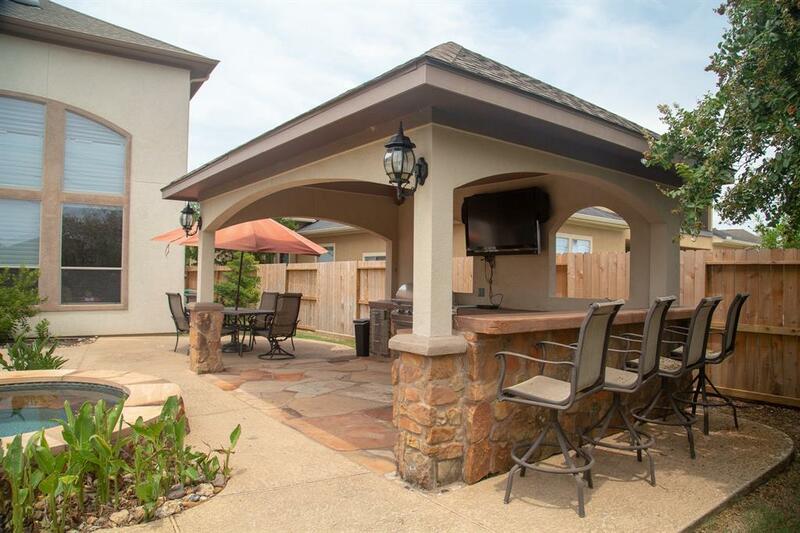 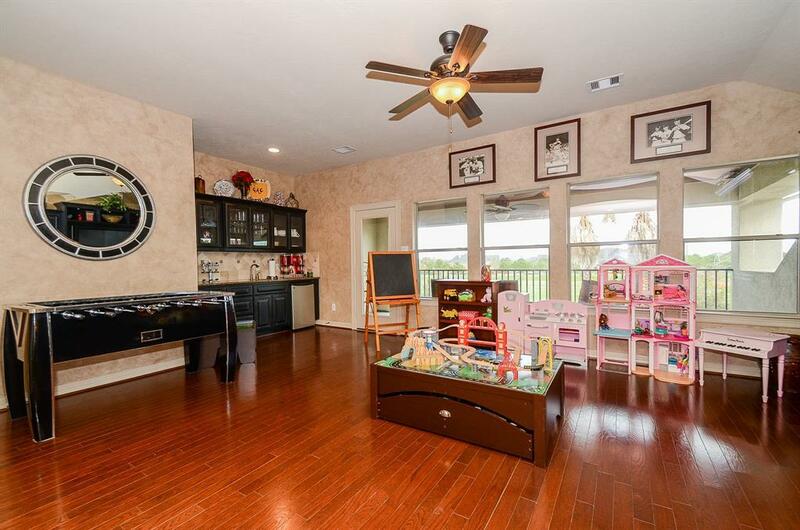 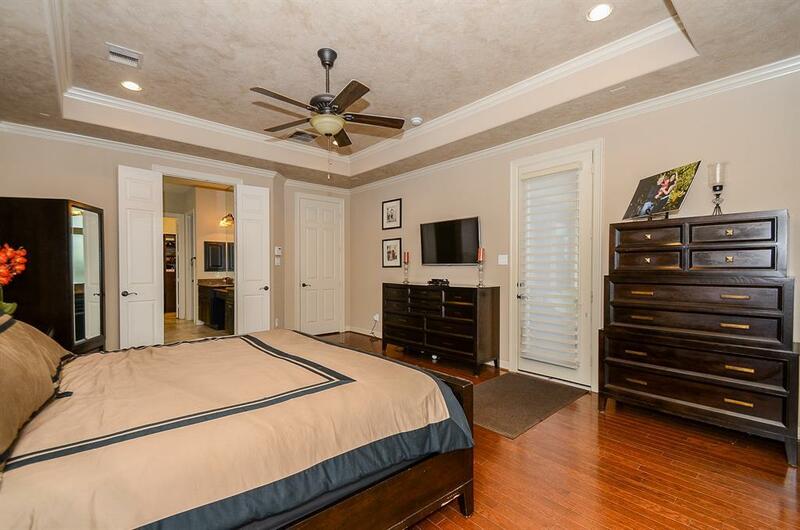 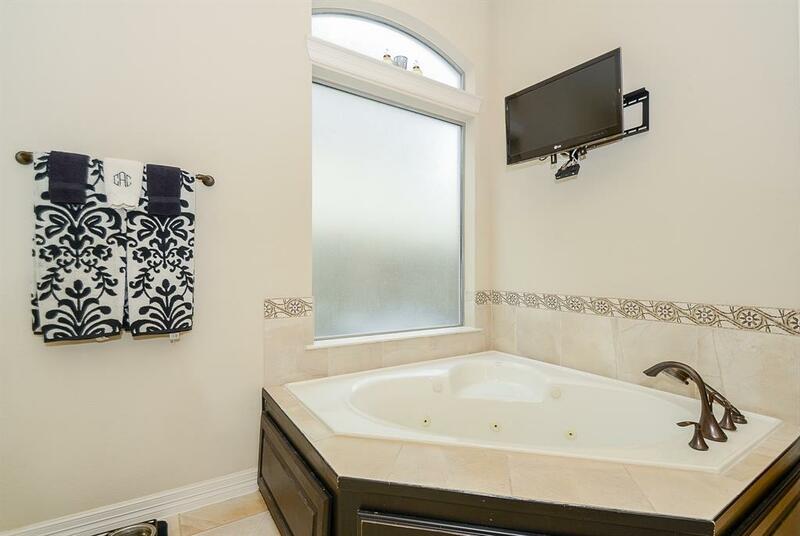 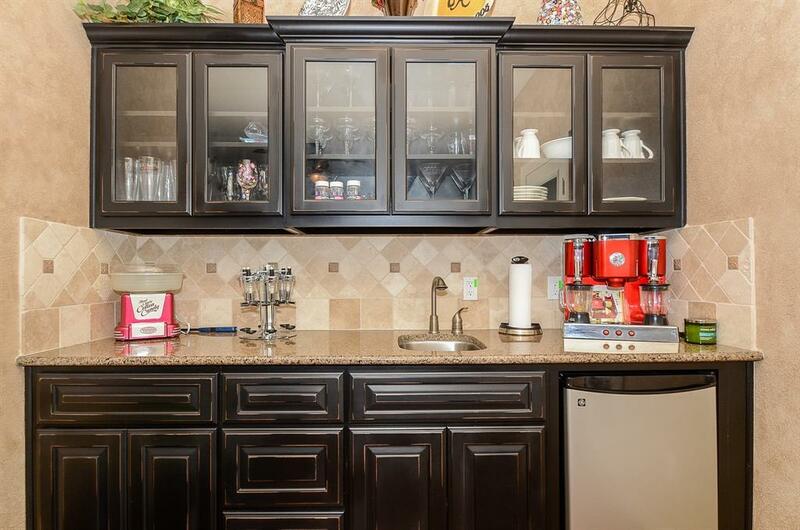 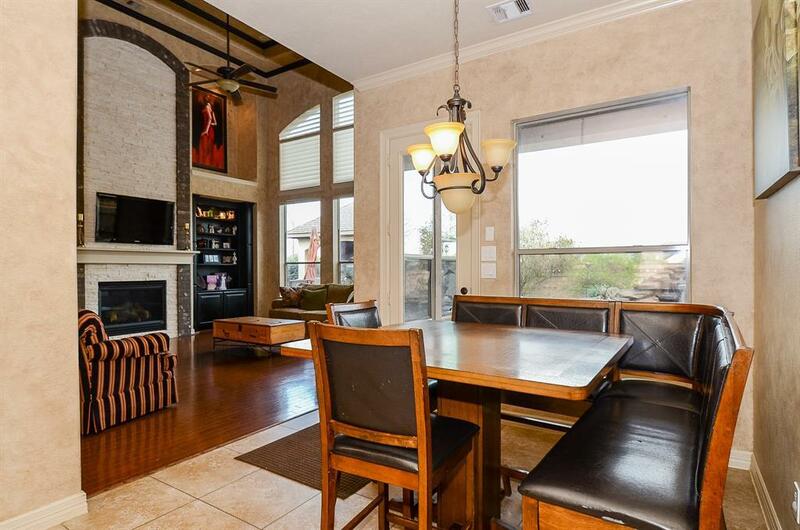 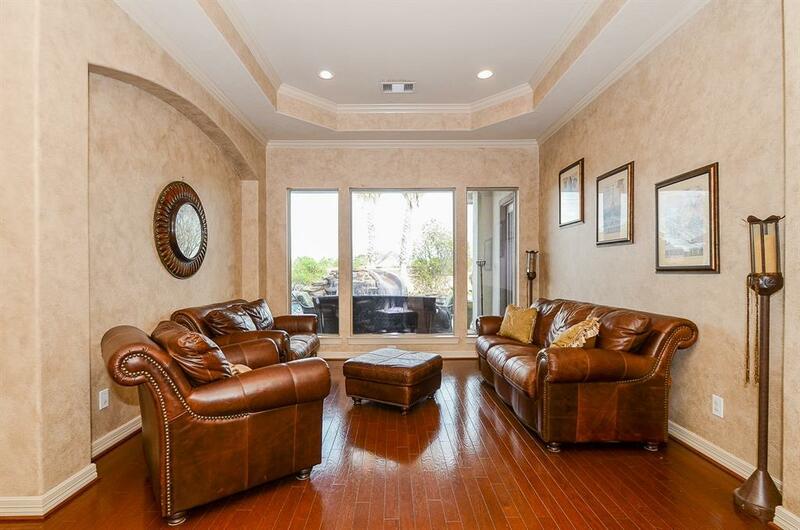 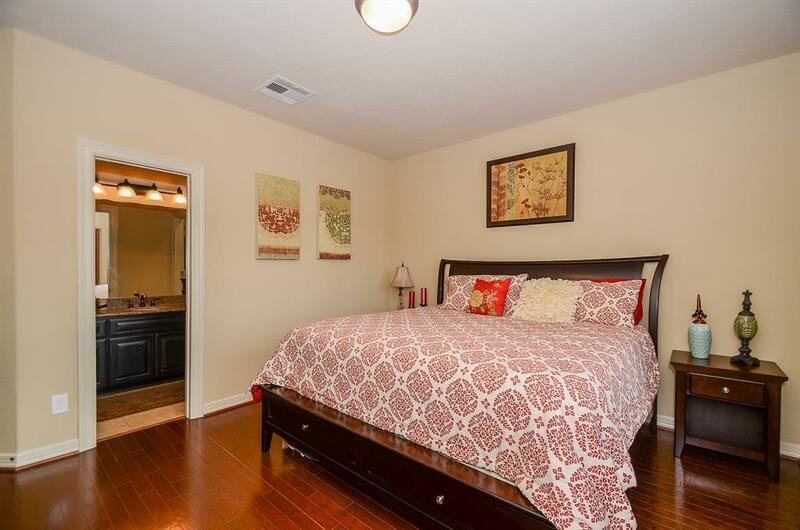 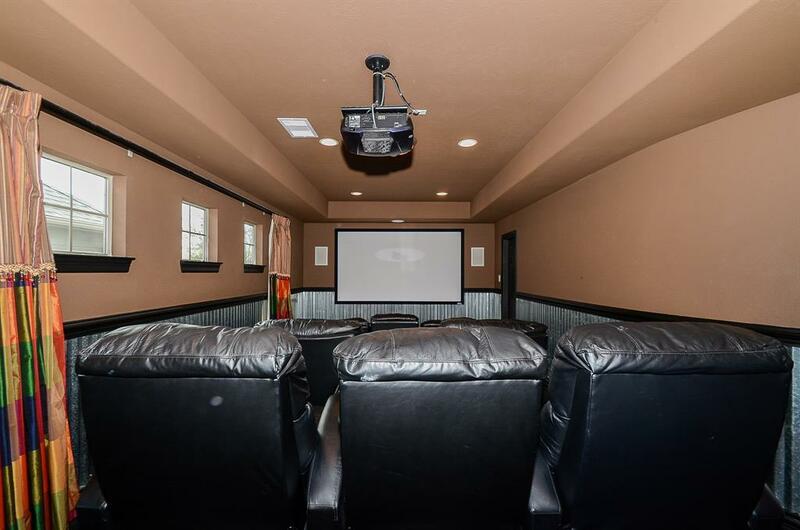 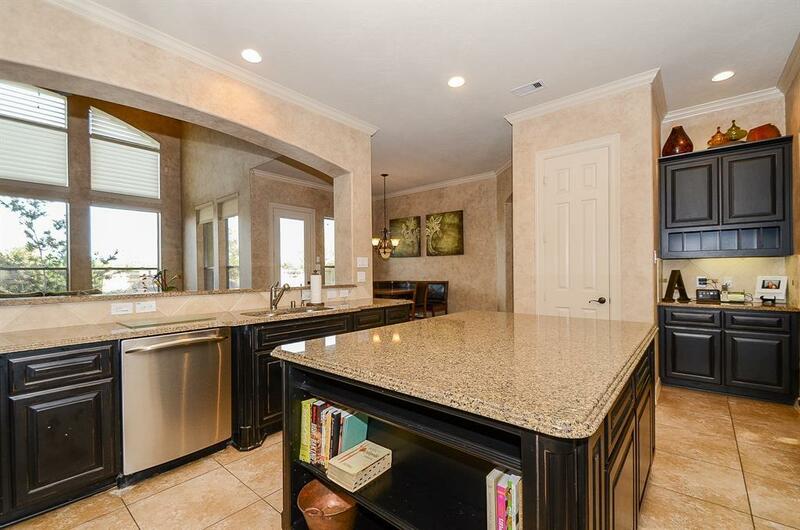 Upstairs you will find all wood floors, an oversized game room and separate media room with a wet bar. 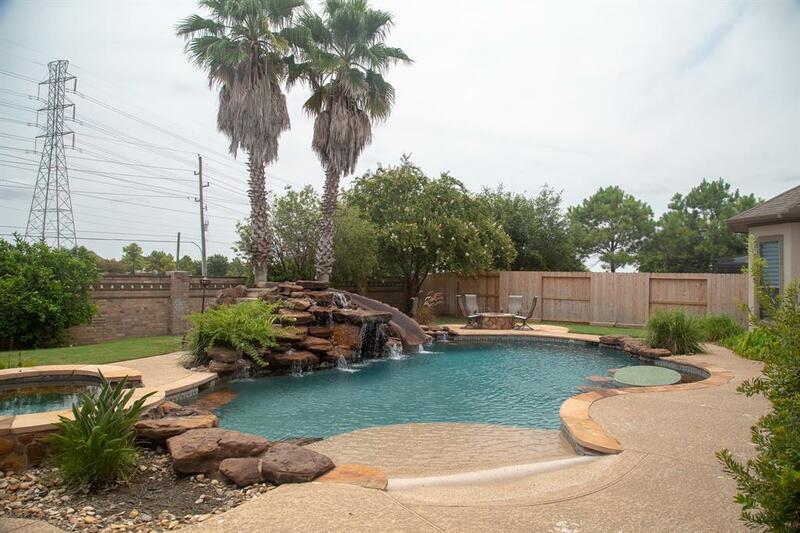 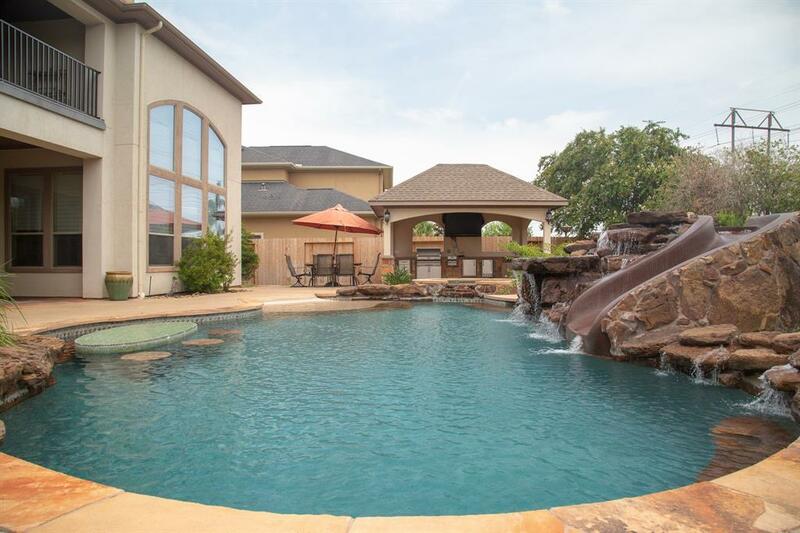 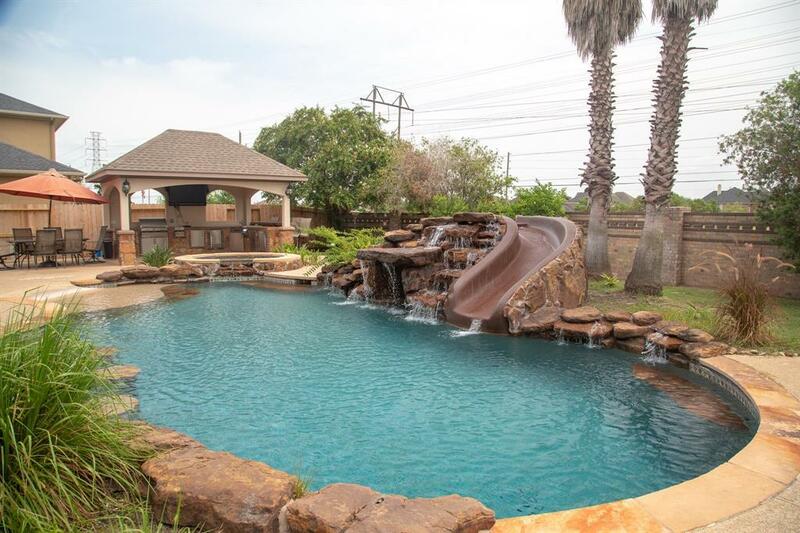 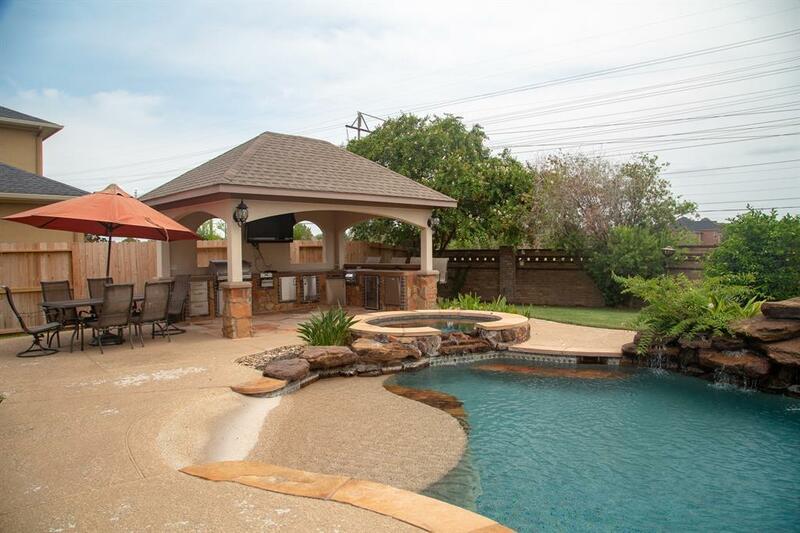 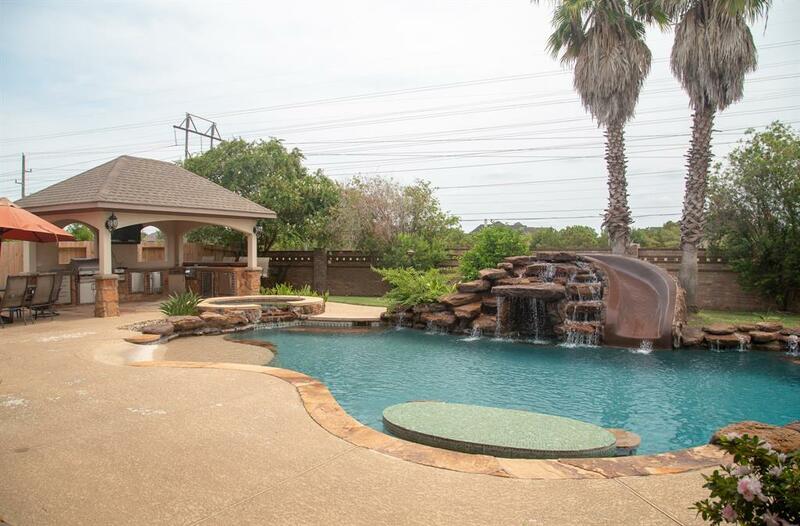 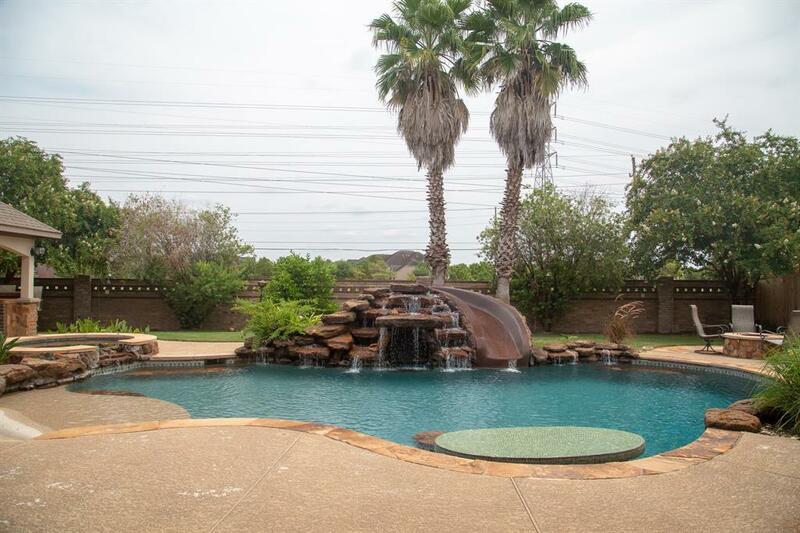 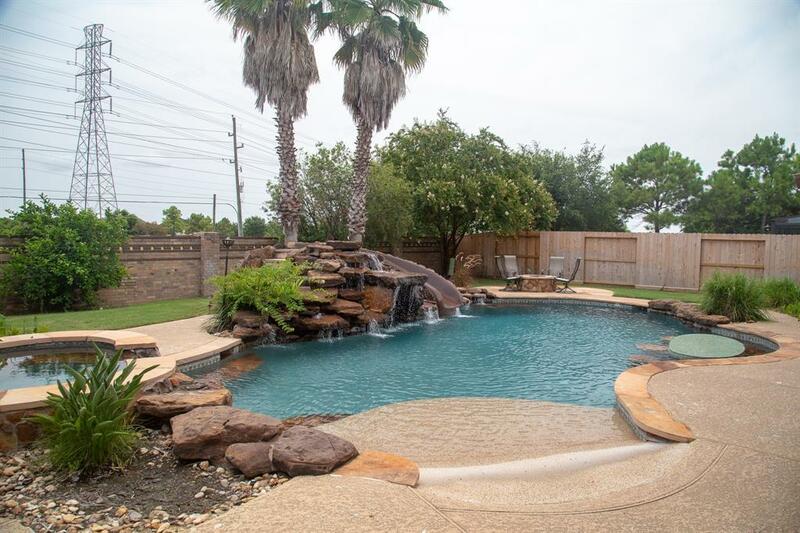 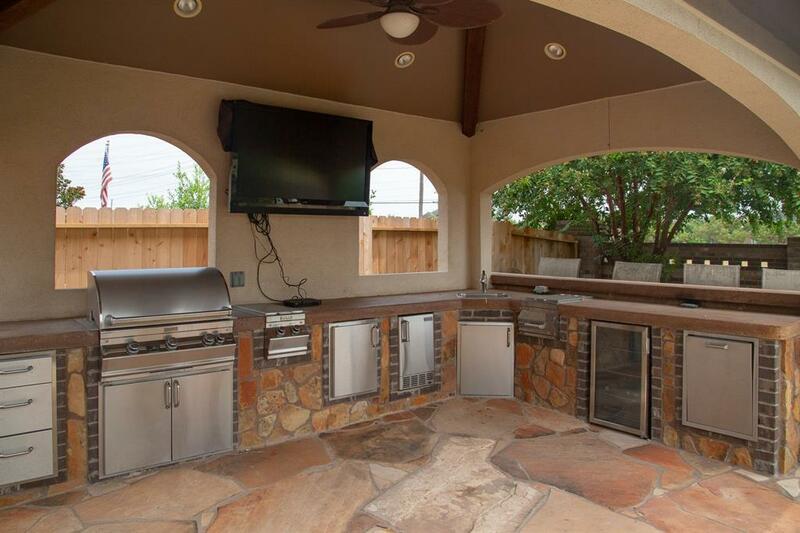 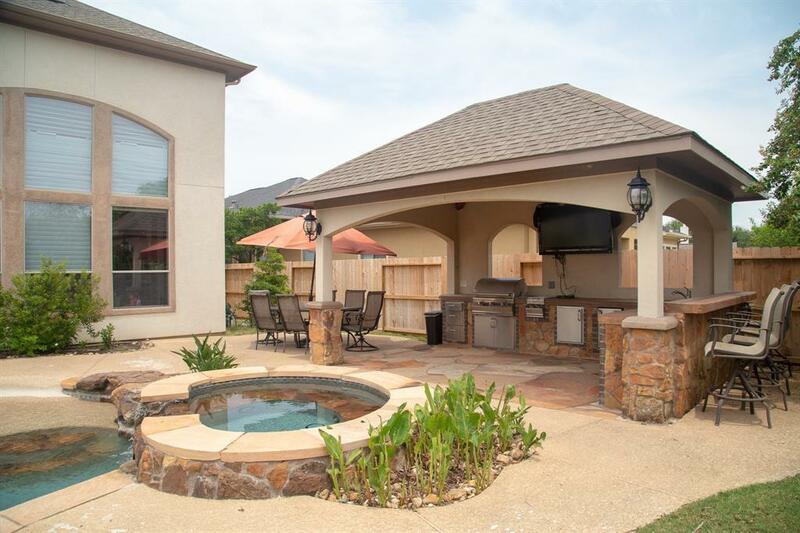 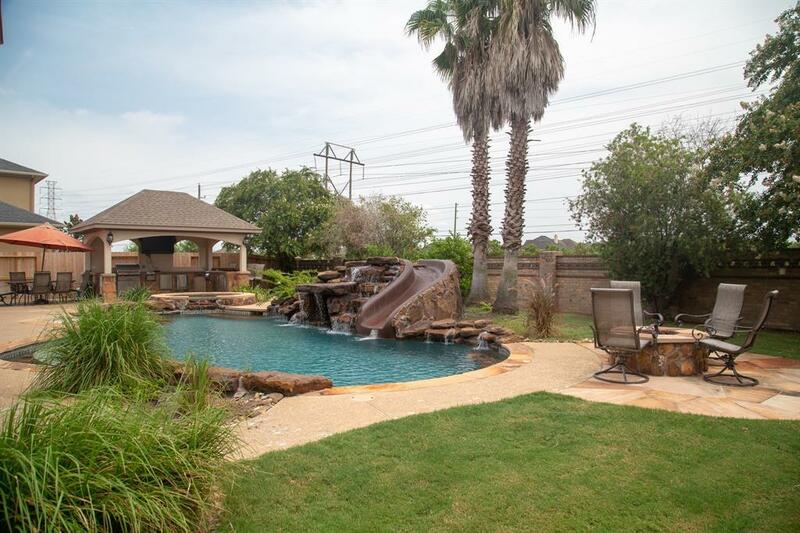 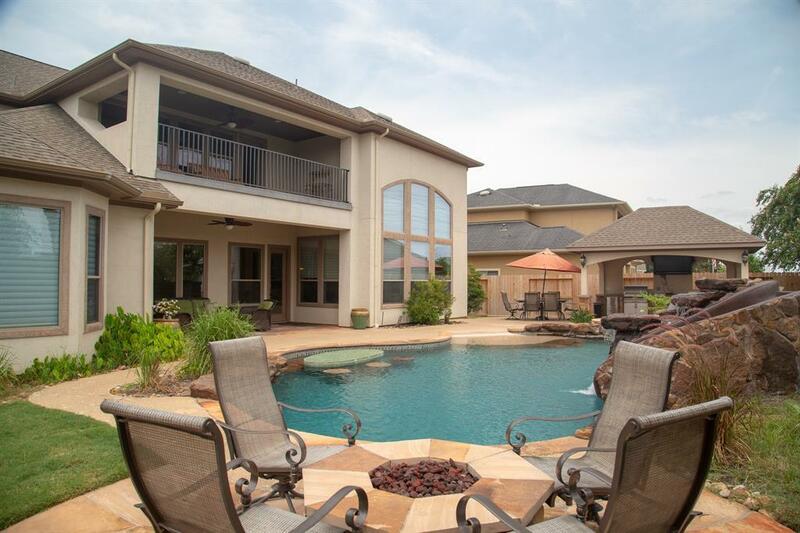 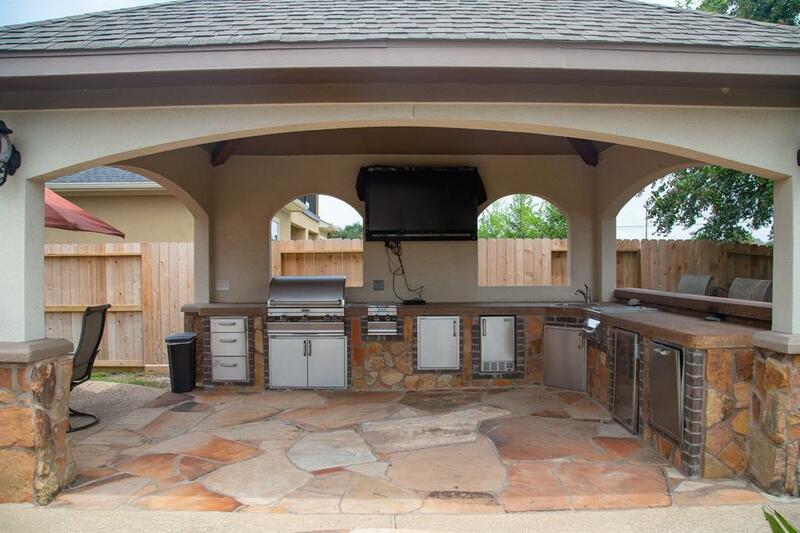 Outside you will find a large pool with a water slide, and a full outdoor kitchen under a pavilion. 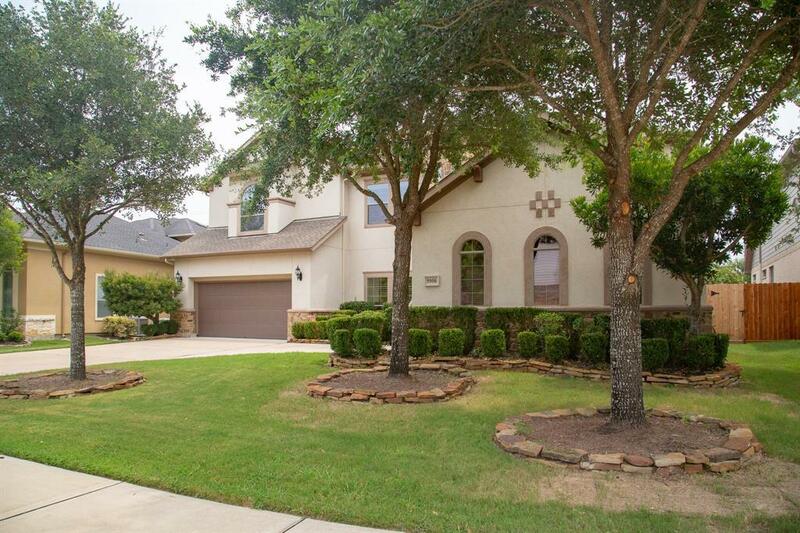 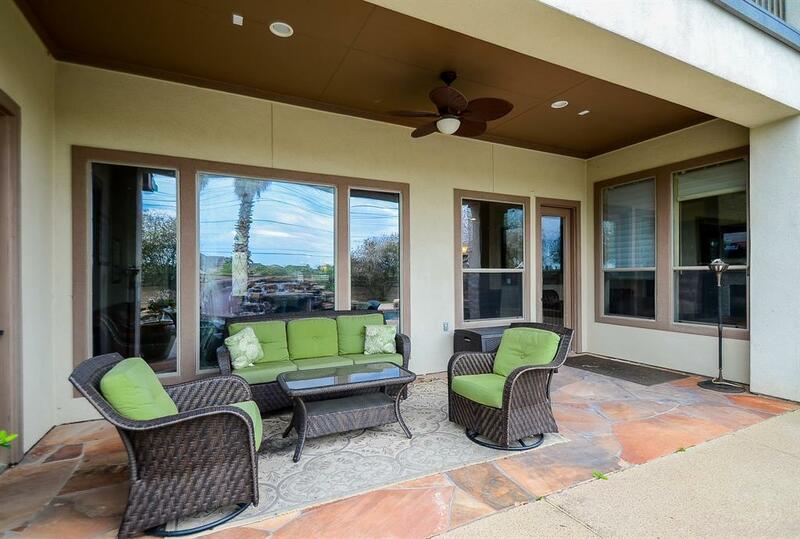 This home has no backyard neighbors as it sits perfectly situated on a green belt! 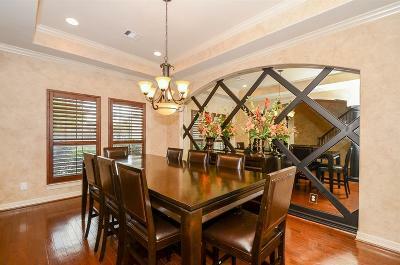 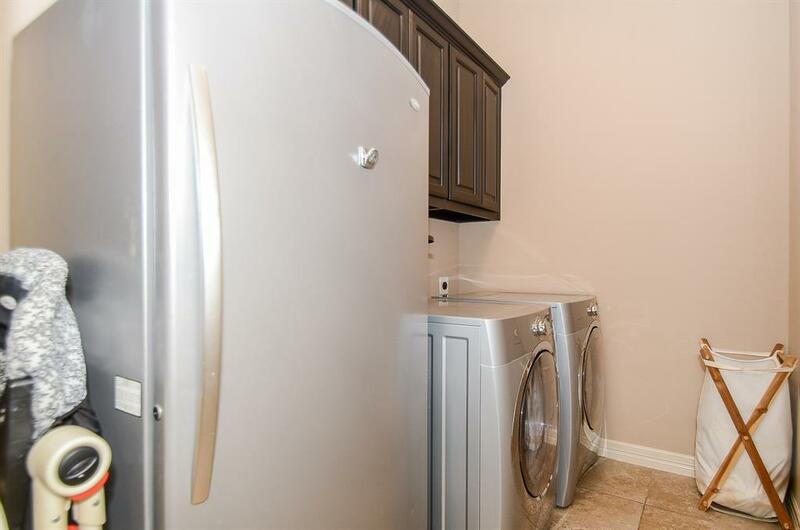 Home is in close proximity to HWY 99 and 1093 for easy access to downtown or the energy corridor! 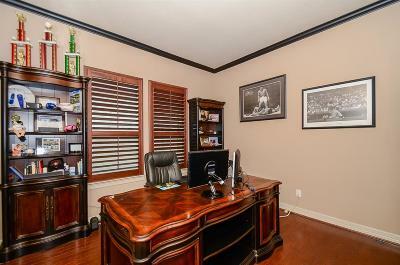 Directions: From I-10 Heading West: Exit 99 (Grand Pkwy.) & Turn Lft, Turn Rt @ Fm 1093, Rt @ Spring Green, Lft On S Fry Rd, Rt On Glendale Hill, & Immediately Rt On Kyler Cove. 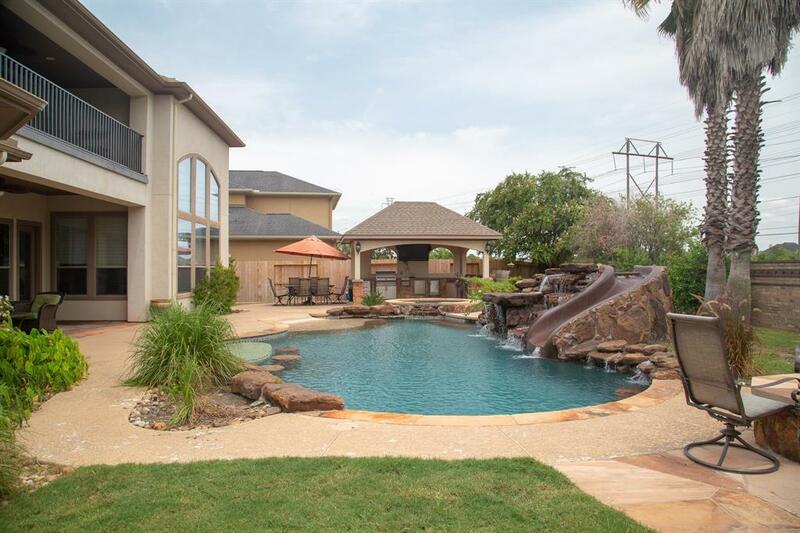 Kyler Cove Turns Into Slover Creek. The Home Will Be On The Right.